He looked out to sea and watched the crested breakers, combing green. They rose stiffly, curled, and broke again; and because it was ebb tide, the roar was distant, more remote, lacking the sound and thunder of the flood. Then he saw them. The gulls. Out there, riding the seas. What he had thought at first were the whitecaps of the waves were gulls. Hundreds, thousands, tens of thousands. They rose and fell in the troughs of the seas, heads to the wind, like a mighty fleet at anchor, waiting on the tide. In the lexicon of horror films one movie, The Birds by Alfred Hitchcock, stands out for me. 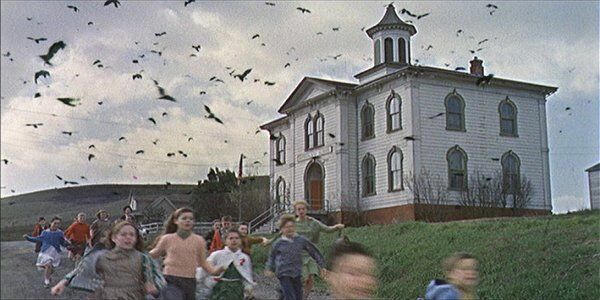 Maybe it’s because I’m a marine biologist, or have lived in small beach towns most of my life, but the thought of thousands of malevolent birds attacking innocent women and children and pecking their eyes out sends chills down my spine. 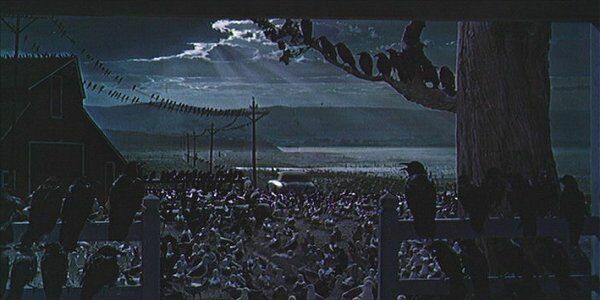 But truth can be stranger than fiction and in this case, those scenes from the Birds may not be all that make-believe. The recent appearance of a weird ocean phenomenon simply known as “the Blob” — in itself attached to a classic horror film — which is manifested as an unusually large body of low nutrient, warm water that has appeared and persisted off the US west coast since 2013, and its associated harmful algal blooms, have now been linked to several rare and outright strange events in the past, including an event right out of the Birds movie. In Santa Cruz, California, in 1961, literally thousands of seabirds, mostly Sooty Shearwaters, were observed flying into houses, cars, and residents carrying flashlights (Trabig, 1961). The next day residents found the streets covered with dead and dying birds, many of them disgorged bits of anchovies on the streets, lawns and housetops. Hitchcock reportedly used this bizarre event to help develop his film, which came out two years later in 1963 (Parry, 2012). 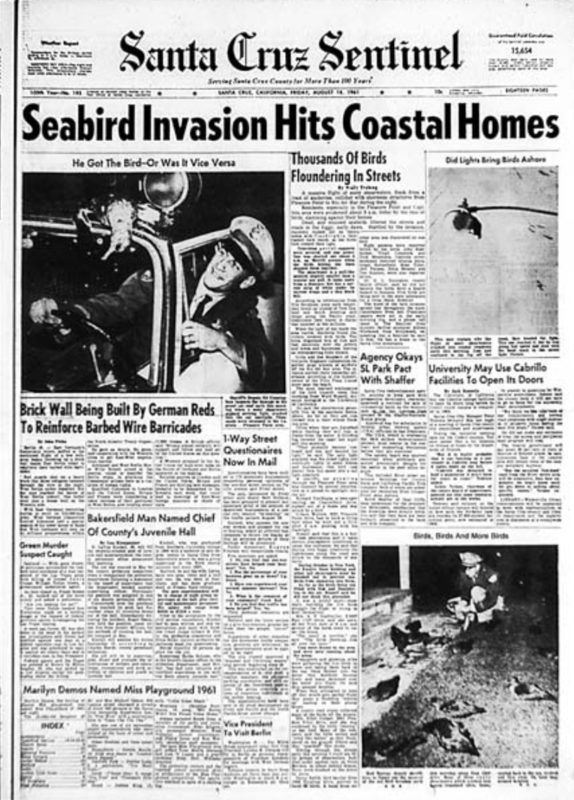 Newspaper Headlines from 1961 “Seabird Invasion” in Santa Cruz, California. Interestingly, research published a few years ago (Bargu et al., 2012) has linked this unusual event to a similar harmful algal bloom which is occurring now. 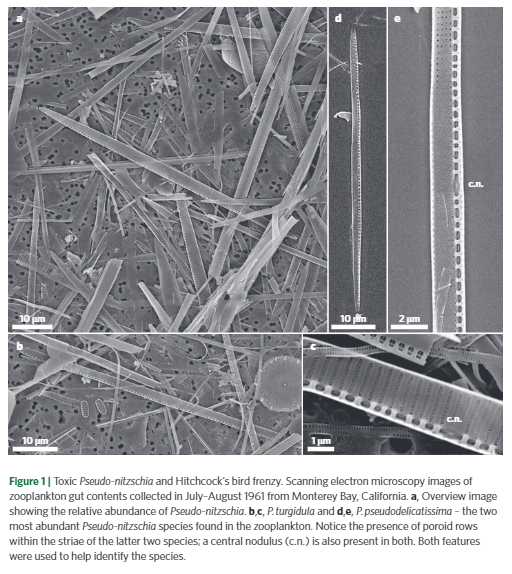 By examining samples of plant-eating zooplankton (small marine animals such as krill and copepods) preserved from that time, they were able to identify that toxin-producing species of Pseudo-nitzschia (a diatom) were present in high numbers at the time of the 1961 bird frenzy. Pseudo-nitzschia produces the neurotoxin domoic acid, which is responsible for the neurological disorder known as amnesic shellfish poisoning and may be the reason for the strange behavior of the birds as well as that of other marine critters. Domoic acid is a neurotoxin and can build up, or bioaccumulate, in many marine organisms that consume diatoms, such as anchovies, and cause permanent short-term memory loss, brain damage, and death in birds and mammals that primarily prey on these small fish. Figure from Bargu et al., 2012. Interestingly, the 1961 case is not an isolated incident. Thirty years later, in 1991, an abnormal number of brown pelicans and Brandt’s cormorants also died in Santa Cruz, California from acute poisoning attributed to domoic acid (Work et al., 1993) and recent Pseudo-nitzschia blooms have been linked to unusually high numbers of stranded California sea lions along the west coast that have been observed struggling onto beaches, weak, confused and trembling (Krieger, 2015). likely from the effects of amnesic shellfish poisoning. Very importantly, the delay of the opening of this year’s crab fishery is also due to high levels of domoic acid in Dungeness crabs less humans suffer the ill effects of these neurotoxins at the dinner table. Although the relationship of “The Blob” to these domoic acid events is not entirely clear, what is clear is that harmful algal blooms such as these are predicted to grow in frequency and magnitude with future climate changes (EPA, 2013). As these events continue to grow it is not unreasonable to assume that poisoning of seabirds by domoic acid, and subsequent bird frenzies, may be in our future. Thus, the sequel event, Return of The Birds, may not be fiction at all. Is this in our future? Closing scene from The Birds, 1963. Du Maurier, Daphne. 1952. The Birds. In The Apple Tree. Gollancz, London, UK. EPA, 2013. Impacts of Climate Change on the Occurrence of Harmful Algal Blooms. Online PDF. Accessed Dec. 19, 2015. Krieger, L. M. 2015. California’s stranded sea lions suffering from brain damage caused by algae blooms. Sacramento Bee. Accessed Dec. 15, 2015. Parry, W. 2012. Blame Hitchcock’s Crazed Birds on Toxic Algae. Live Science. Accessed Dec. 10, 2015. Trabig, W. 1961. Seabird Invasion Hits Coastal Homes; Thousands of Birds Floundering in Streets. Santa Cruz Sentinel. August 18, 1961; page 1.